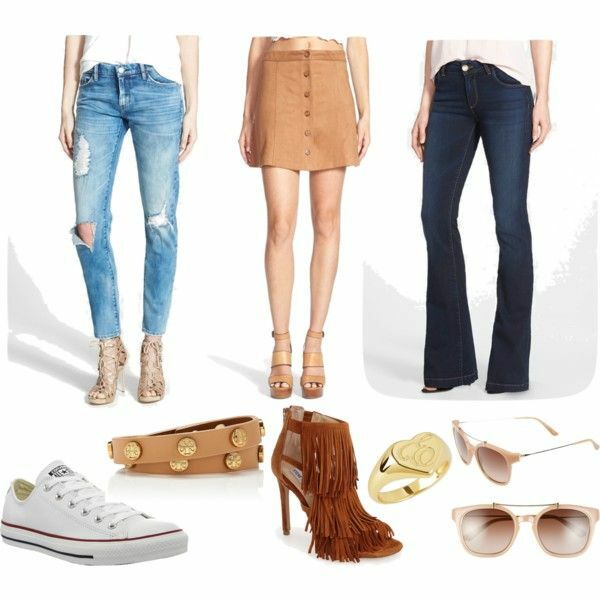 As we enter into the fall months, wishlists start to change from denim shorts to flare jeans -- from Jack Rogers to Converse. Whatever your style might be, I have you covered today! 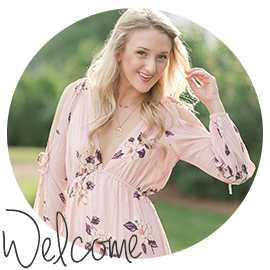 I've pulled together some pieces that will make your fall wardrobe smile from ear to ear. When it comes to bottoms, suede skirts and flare jeans are a must have for this fall. Both of these pieces can be styled a variety of different ways making it worth your money. I think it's important to re-stock your ripped jeans every so often so that's why I've linked a pair for you all below. These tend to rip and snap a little more than what's necessary over time so make sure to grab a pair before sweater weather! Re-stocking your daily jewelry is something to evaluate this time of year. Are you needing a new everyday gold ring to rock? A new bracelet to pair with your watch? I have both essentials linked below! Now to the best part -- SHOES! Those of you who are familiar with my style might be shocked to see a certain pair of Converse above. I know! I've come to see that this pair of shoes can be essential for staying chic on a grocery run. After all, we can't always run around in our old sorority tees and Norts! Sometimes a gal has to switch it up a bit and this is the perfect pair of shoes to do just that. Transitioning into a more fun pair of shoes, how amazing are these fringe pumps?! I've been dying to buy them ever since last fall. That will tell a girl something! If these shoes have been around for that long, they're probably worth the purchase. Now's a great time to pick up a fun statement pair of heels to wear on date nights or girls nights this fall. Hopefully this has inspired a little fall flair into you all! The first day of fall will be here before we know it and these pieces are sure to have you feeling some kinda way for bonfires and pumpkin spice lattes.